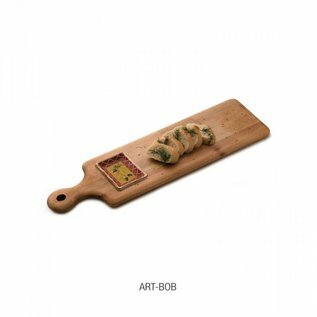 Our Maple Plank bread and oil board comes complete with a dipping dish for your favorite artisan oils. When you do not want to use the dipping dish simply flip the board over for a flat serving side. Distressed to a warm patina. Bread and Oil Plank 20" x 6" x 5/8"